By analyzing CIA documents from earlier days, we can understand the programs of the Agency and its government cousins. 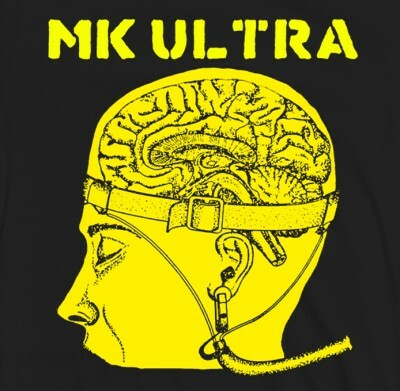 Given the fact that the CIA’s umbrella research program, MKULTRA, went completely dark in 1962, and given the technological advances that have been made in the intervening years, we can draw inferences about present-day covert ops. Document: May 20, 1975; sent by CIA Inspector General, Donald F. Chamberlain, to the Director of Central Intelligence, William Colby. Subject: CIA activities at Fort Detrick, Maryland [in the 1952 period]. Fort Detrick was the center of US government chem/bio warfare research. Translation: The CIA would test a tiny device for injecting chemical and biological agents into people, killing them—and the fact of an injection would be difficult to prove during subsequent autopsy of the victims. Death would appear to be from other causes or vectors. From there, through the use of propaganda, initiate the idea that the disease is rapidly spreading. From that follow the usual steps: the government is rushing a vaccine into production; everyone should be vaccinated; people should avoid large gatherings; suspected carriers can be quarantined. The mass-vaccination campaign “against the rising epidemic” inflicts harm. Chemicals (e.g., aluminum, formaldehyde, mercury) and germs ordinarily found in vaccines are toxic and destructive. So without even covertly placing “unusual” materials in vaccines, people are going to suffer consequences. You might ask, what about using the CIA method to cause a real epidemic? It’s possible, but the amount of injected (or aerosolized) virus would have to be quite large, for each person, in order to create illness. (For “virus concentration”, see the discussion on “titer” inthis article). (For another way they could stage a “real epidemic”, see this article). Secret ops like this one are funded, go underground, morph, are sometimes shifted to other departments, and develop, over the years. The public does not hear of them, and does not suspect that its government is devising ways to inflict damage abroad and at home.